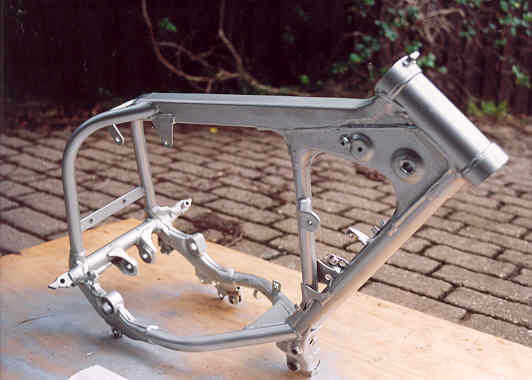 The lower CR frame cradle was cut off and a new cradle was made to fit around the engine. Motor mounts were then made up. 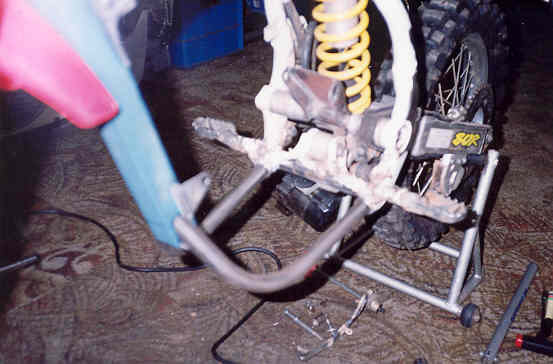 The frame mods in the early stages. A bit of heating was needed to get everything to clear and work properly. 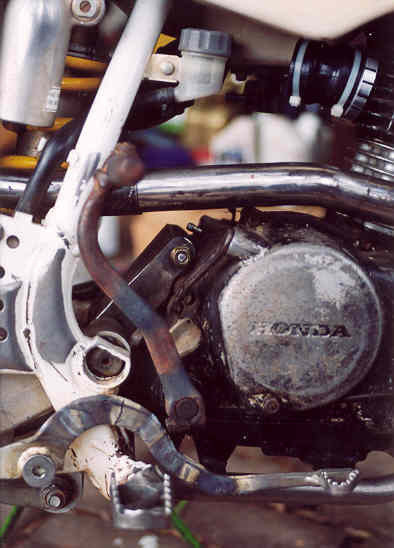 Frame was mig welded for strength. 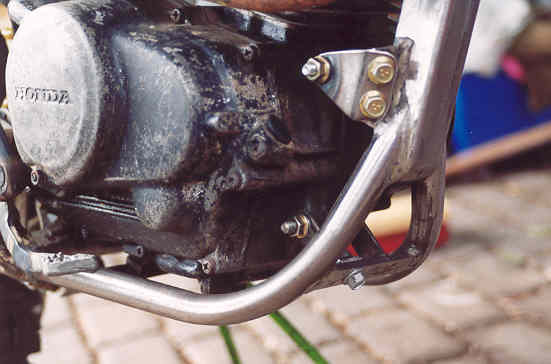 The motor must be mounted level and the relationship between the swing arm piviot and the sprocket is very important. The new steel is unpainted and shows you the extent of the work needed. 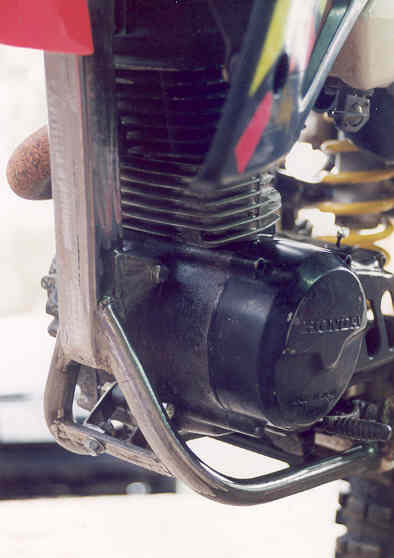 Note the removable mount. This helps fitting and removing the engine quickly.